institute of Hospitality (UK) is an internationally renowned professional body for advancing and promoting quality standards and education within the hospitality industry. 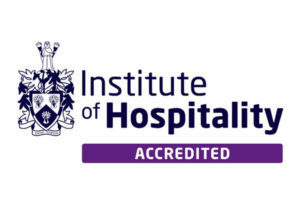 Institute of Hospitality (IoH) accreditation confers on an organisation the international recognition of a quality standard in respect of programmes that are relevant to the needs of the hospitality, leisure and tourism industries and which meet accepted Institute of Hospitality benchmark standards. 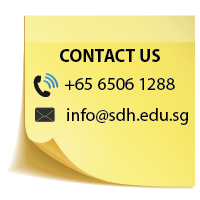 SDH Institute is not only the first education institution in Singapore but also the first education institution in South East Asia, amongst the public and private education institutes, to have achieved this prestigious accreditation. Together with SDH on the IoH accreditation listing are esteemed education institutions like Hong Kong Polytechnic University, Ryerson University (Canada), Sheffield Hallam University (UK) and University of Strathclyde (UK). Post Graduate in Hospitality Management.